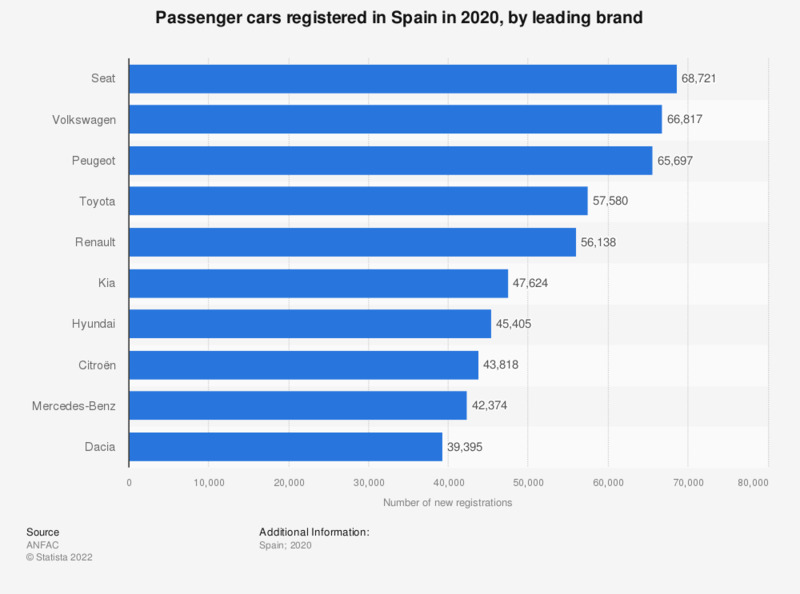 This statistic ranks the leading car brands in Spain in 2018 by the number of new car registrations. Spain's Seat ranked highest on the list as the make that most registrations had in Spain that year, with the total number of registrations amounting to over 107 thousand units. The German make Volkswagen registered over 102 thousand passenger vehicles that year, making these cars the second most popular in Spain in 2018.